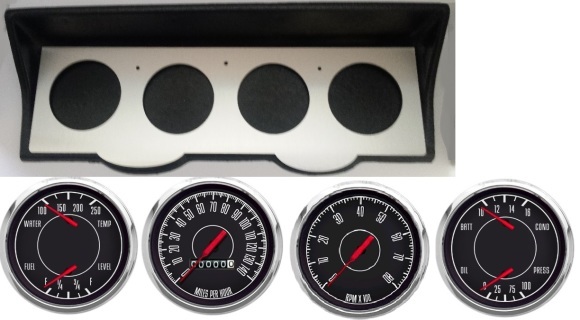 Gauges packages are offered in different gauge layouts with an assortment of gauges. If you do not see the gauge style you want let us know and we will get it listed. 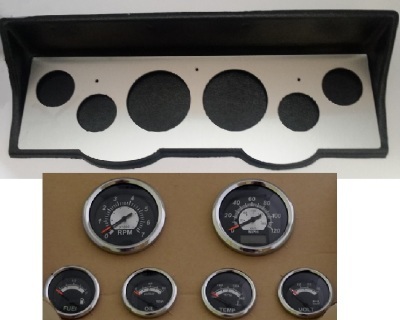 Senders included are GPS speedometer sender, water temperature, oil pressure and fuel level(240-33).